Made with love from FSC certified wood by a family run firm in the Black Forest. 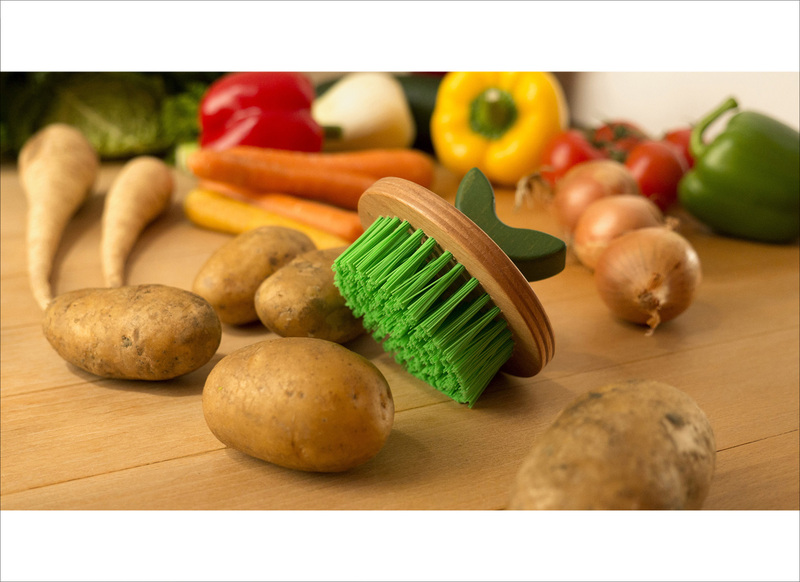 Available both as scrub-brush or vegetable brush. After washing, the bristles will rise again like fresh grass. 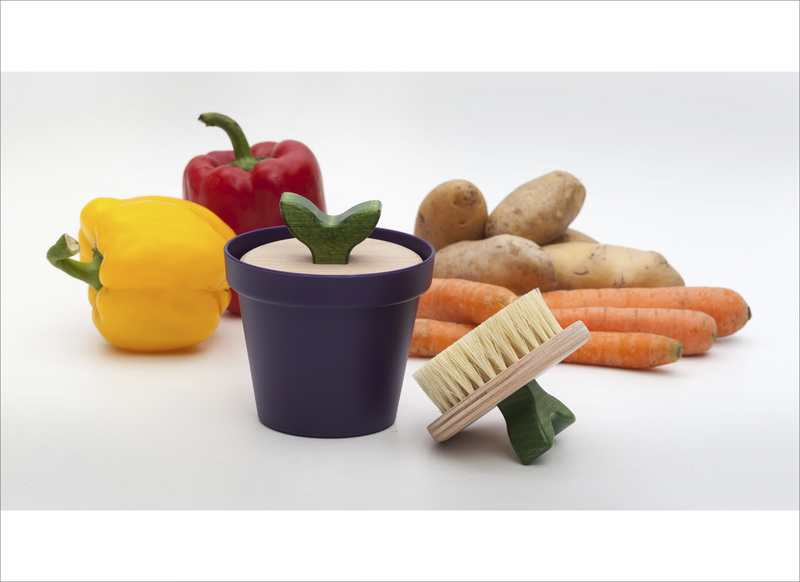 The pot provides storage for small items. 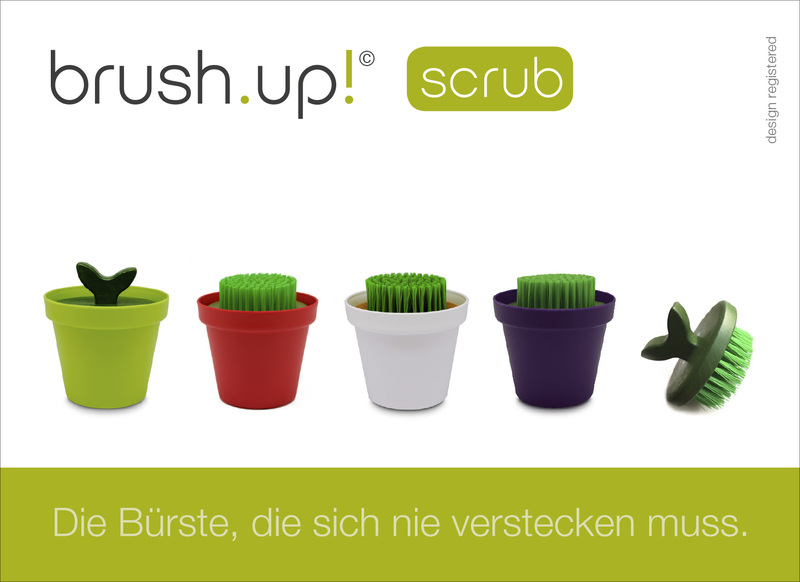 „Double touch-function“: Whilst drying and upwards, the bristles make a decorative fresh pot of grass. 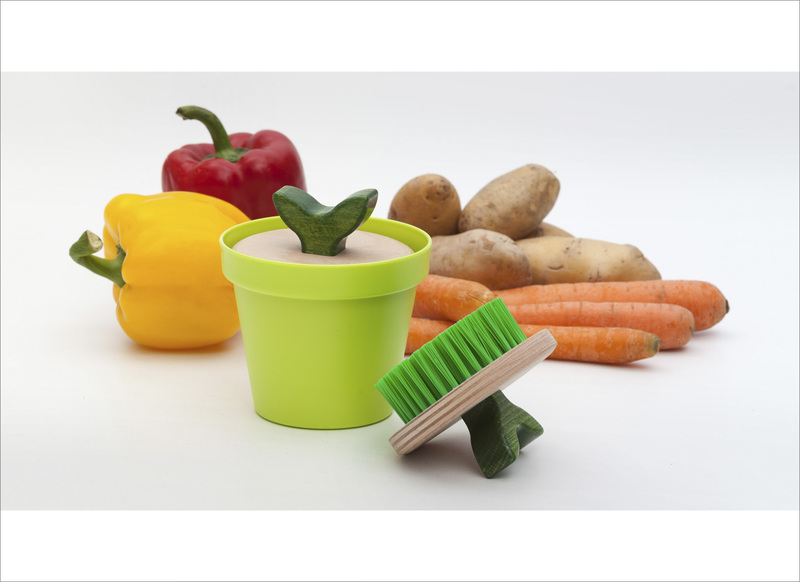 When ever the bristles are hidden, a tender shoot grows out of the flower pot, which makes a comfortable handle.